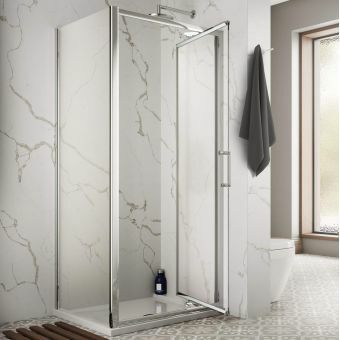 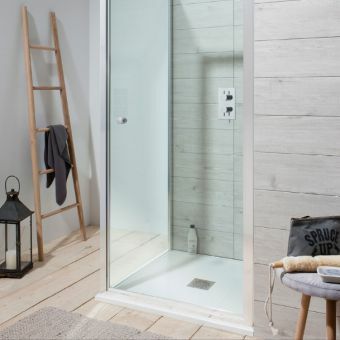 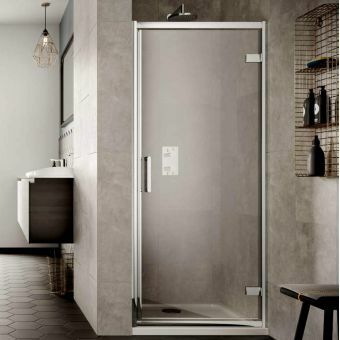 The pivot shower door is 1850mm in height and available in 760, 800, 900, 1000, 1100 or 1200mm widths, with an adjustment of 40mm to help you cope with uneven walls, for a water tight fit. 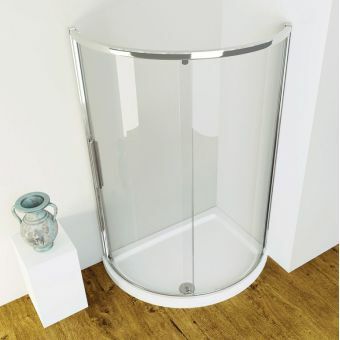 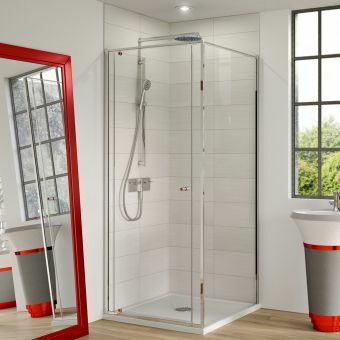 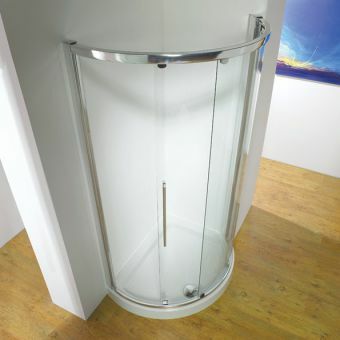 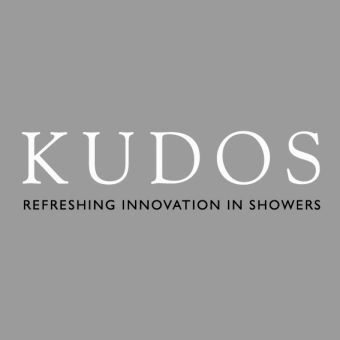 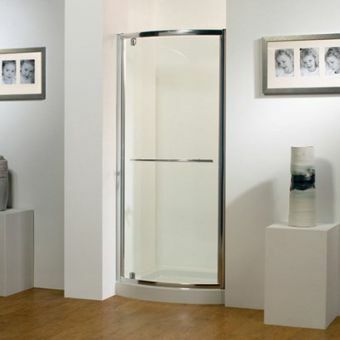 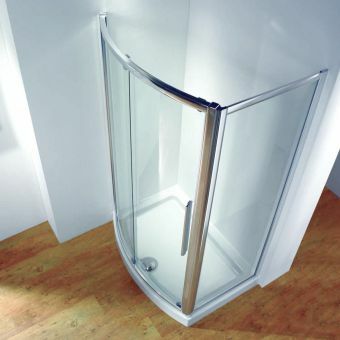 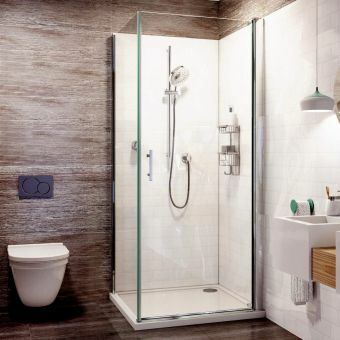 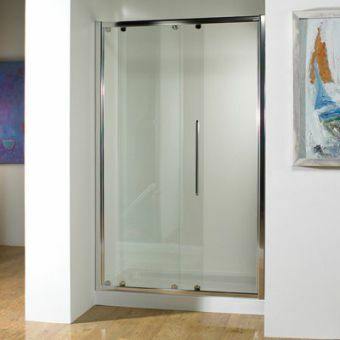 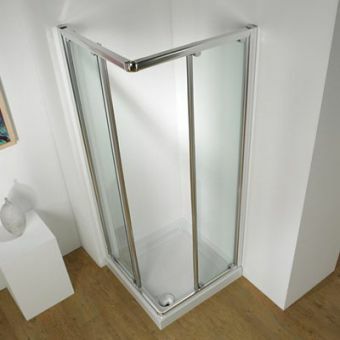 The shower door is made from 6mm toughened glass, ensuring integrity and safety, even after years of use. 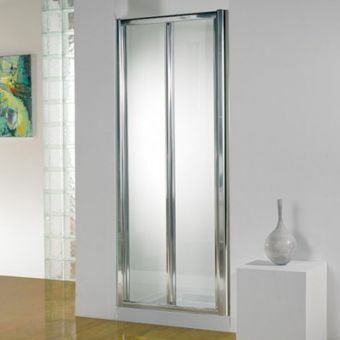 The door can be supplied in a white or chrome finish. 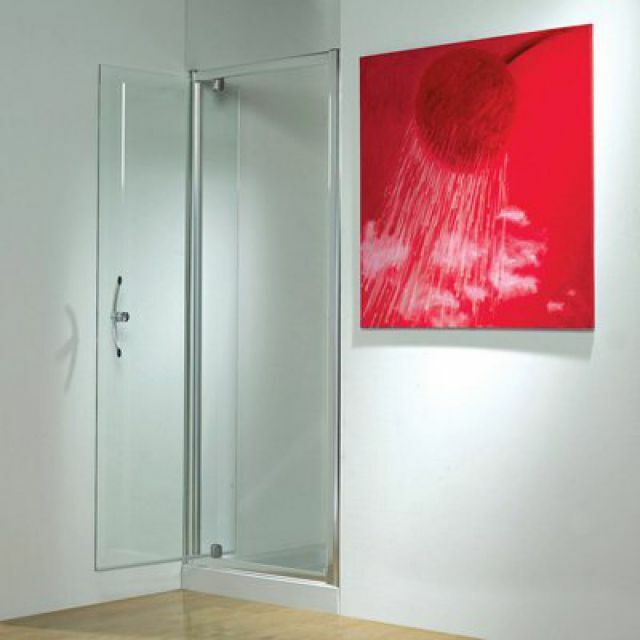 The pivot door can either be recessed or used in conjunction with a side panel to create a corner enclosure.